Let’s face it, even though I’m sure that everyone that you follow on Twitter is a truly interesting person, not everything that they tweet is pure gold. That can make reading your timeline on Twitter quite boring at times. 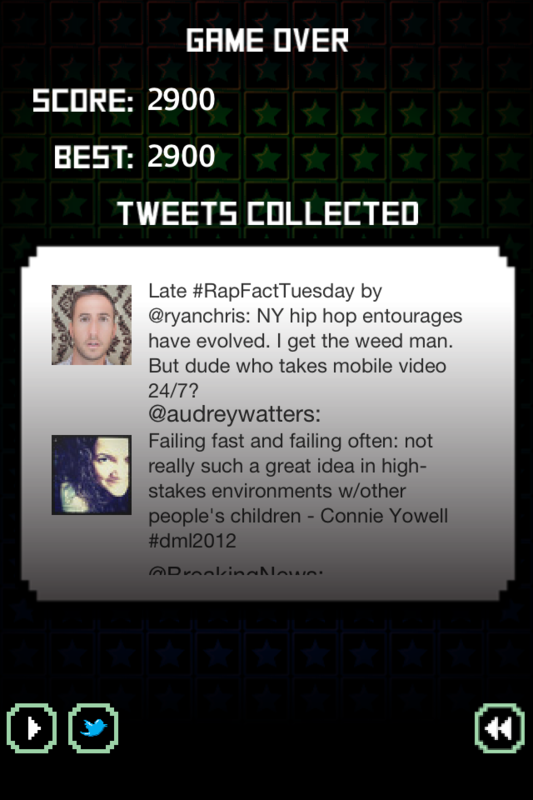 What if reading your tweets could be turned into a game that made you remember the Atari days of Breakout? Well if you have $.99 and an iDevice, that dream can be yours with the new app “Social Break” by app developer Wicket Little Games. Once you start playing Social Break it’s a little hard to stop, since Breakout is probably one of the most addictive games of all time. Since people don’t stop tweeting and this game doesn’t stop being fun, this is the perfect app to play during any of your idle time. 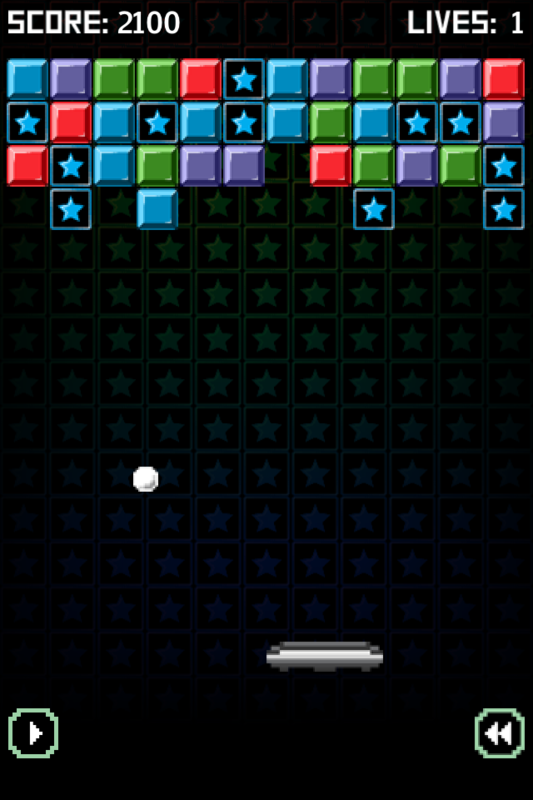 Just like Breakout, the goal of this game is to knock out all of the blocks with your little paddle without letting the ball get by you. 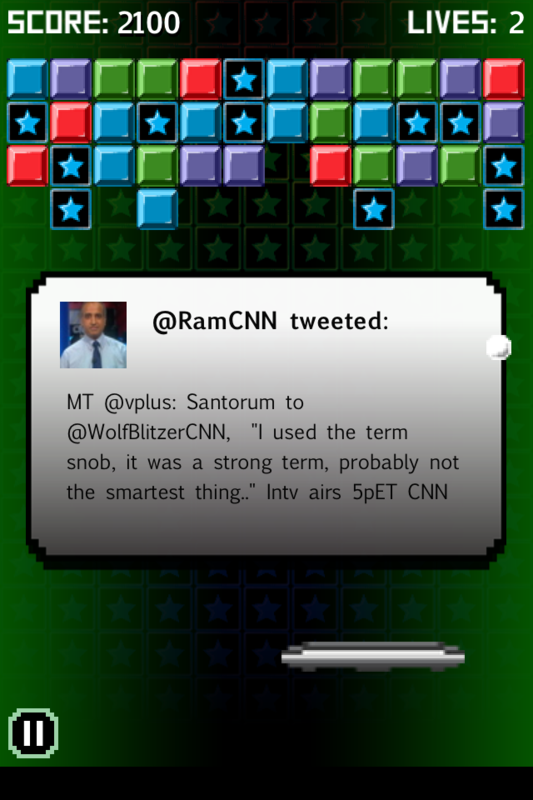 As you hit blocks with stars on them, the game is paused for a second and a tweet is revealed. The pause isn’t long enough to completely disrupt the game and you get a sense of being somewhat productive socially as you continue to play. 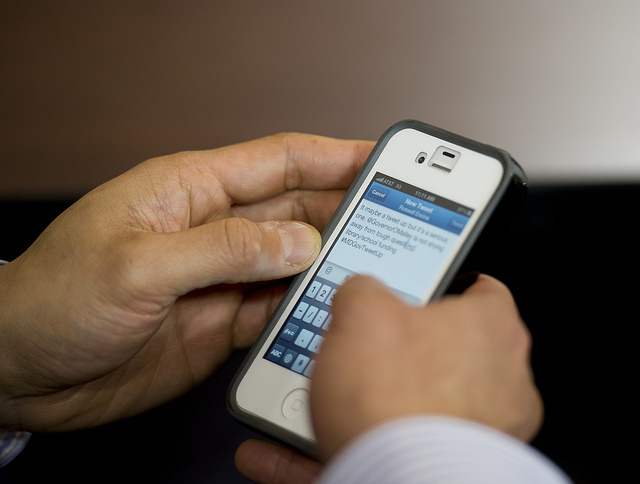 You can tap the collected tweets to interact with it, as the app will open them up in Twitter’s mobile view on Safari. There’s no doubt that this game is fun and with the added benefit of keeping up with what people are saying on Twitter, it’s completely worth the $.99 price tag. We’re told by the developers of Social Break that the top score is currently 333,000, so you better get to tapping now if you want to break it.